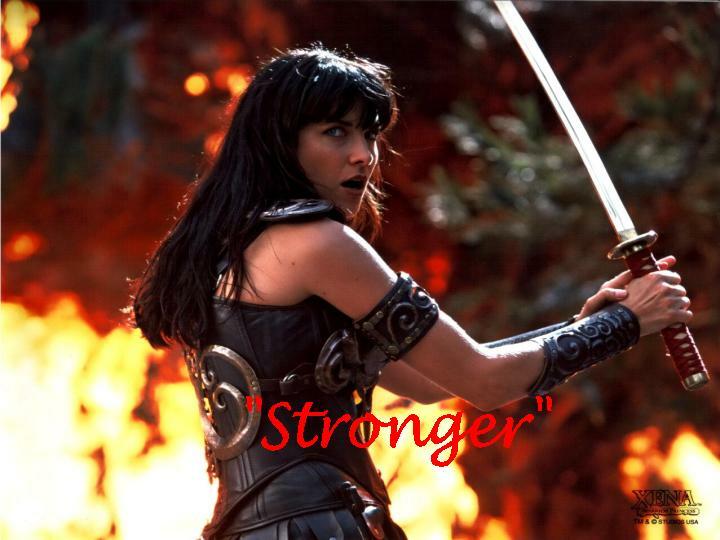 Here you'll find multimedia that is Xena related (DUH!!). I love multimedia, so I love this section and I hope you do too!!!! Enjoy!!!!! Well, I love everything Xena, especially music videos. That's why I decided to make my own. Although it is a lot of fun, it is a lot of work too. So I proudly present you my music videos section. I hope you like it, feedback is greatly appreciated. Hi! It's been a while since I've had in mind making this so... here it is. I hope you enjoy it. I think the slideshows are pretty good, but then again I made them, I have to say that. You just have to see for yourself. Let me know what you think. You're going to need real player to view the presentations and winzip or a similar program ( I like Easy Zip) because they are all zipped. Once you download them you unzip the files wherever you want, and in order to view them you go to the file named .smil. Enjoy!! 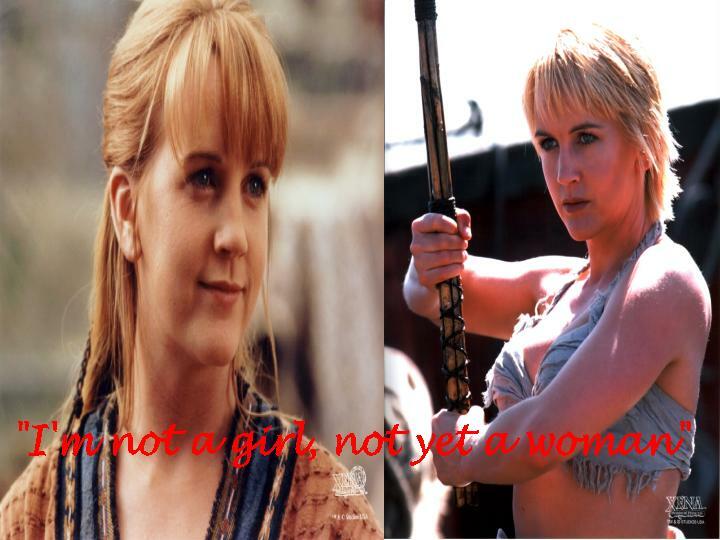 "I'm not a girl, not yet a woman" shows Gabby's development through the show. It contrasts the Gabrielle Xena met in Poteidaia with the one she left in Higuchi. Okay, so it's yet another Britney song, but hey, I'm 16, I'm supposed to like her. 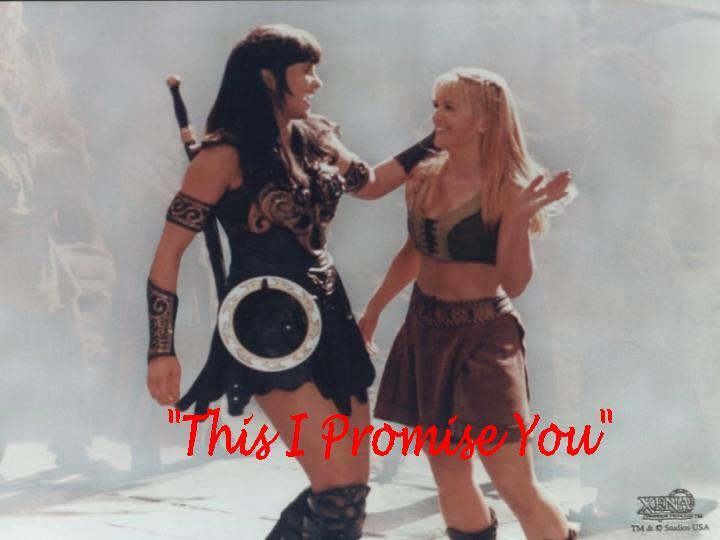 "This I promise you" is a heartfelt tribute to Xena and Gabby's relationship. I'm not crazy about subtext, but I like it so there's some of it there. My intention is being able to show the depth of their relationship without really having to define it. I hope you like it. Here are the sounds so enjoy!!!!!! The big question from "You are there"
Evil is intoxicating, isn't it?